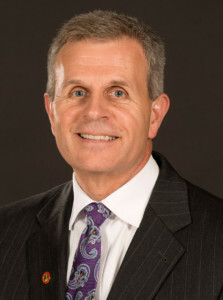 Dwight Davis, Pharm.D. serves as a clinical consultant for Gemini Health. Dwight brings a wealth of experience from the pharmacy benefit management (PBM) industry to this role. His work involves incorporating a variety of clinically sound strategies into the pharmacy benefit that drives toward better patient care and lower costs. His work with Gemini Health involves the dissemination of transparent and actionable information through Gemini Health’s proprietary database to prescribers in support of cost-effective and clinically appropriate prescribing. Dwight also serves as the Director of the Evidence-Based Prescription Drug Program (EBRx) at the University of Arkansas for Medical Sciences’ (UAMS) College of Pharmacy. He joined UAMS in 2008 and is also an Associate Professor and member of the College of Pharmacy’s faculty. He has led growth of the EBRx program and has played a key role in Arkansas state government prescription programs. Through his role at UAMS, he partners with Little Rock-based RxResults to market and incorporate EBRx strategies into the prescription benefits of employer groups in the private sector. Prior to joining UAMS, Dwight spent 15 years in the PBM industry. He joined Pharmacy Associates (PAI), a Little Rock-based PBM, in 1994 as Director of Clinical Services. PAI was acquired by National Medical Health Card (NMHC) in 2001 and NMHC was acquired by informedRx (now part of OptumRx) in 2007. Throughout this time, Dwight held multiple roles from Director of Clinical Services to Senior Vice President of Clinical Services. He has led clinical operations, clinical consulting, rebate contracting as well as assisted in the multiple mergers and acquisitions involving the company. He received his B.S. in Pharmacy and Doctor of Pharmacy (Pharm.D.) degrees from the University of Arkansas for Medical Sciences (UAMS) College of Pharmacy. He is a member of the Academy of Managed Care Pharmacy (AMCP). Dwight is a lifelong resident of Conway, Arkansas. He is married with four adult children and seven grandchildren.